In April 2014, Castlebar in County Mayo came alive when FIND, an ambitious art project commissioned by Mayo County Council, was launched. The programme brought artists, local businesses and the community of Castlebar together to create something spectacular. A special public art programme, FIND called on County Mayo-based artists to submit ideas for discreet or hidden, temporary works that would be unravelled by the public throughout April 2014. There was stiff competition, with over 40 entries, and six projects (eight artists) finally chosen. The project had numerous strands. 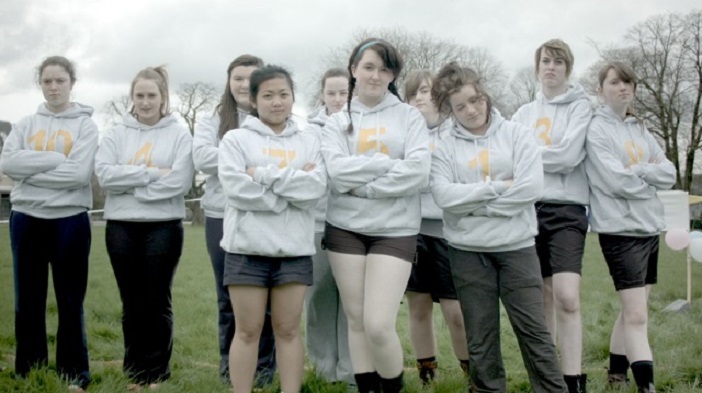 The artists were offered mentoring from internationally acclaimed artists Alice Maher and Aideen Barry. There was an accompanying exhibition at the Linenhall, which detailed the studio work and the processes behind the productions, and the public could come in and meet the artists. Local businesses were approached, and many got involved, allowing their businesses to be used for some of the art installations. For example, one artist Chris Leech hid miniature drawings in various businesses and shop windows, to be discovered by the public. From 26 March until 26 April, a number of events were held. Artist Ian Wieczorek set up a video and audio installation at the passageway linking to the foyer of the Linenhall Arts Centre to Linenhall Street. Amanda Rice set up a live tug-o-war on the Mall, and worked closely with former employees and descendants of Western Hats Company, whose staff used to hold tug-o-wars regularly. Artists Nuala Clarke and Crystal Gandrud, meanwhile, packed a side street with flags and text, celebrating the linen industry in Castlebar. Exterus, a team comprising artists Alice Dixon and Anthony Champa, created a light installation in a derelict building in the town, with passers-by triggering the lights and unknowingly becoming part of the installation. Joanna Hopkins rediscovered the Castlebar Star silent cinema at the back of Patrick Fahey’s Gift and Hardware Shop and brought it to life again, calling on the original pianist’s great granddaughter to compose an original piece of music and play in the space. A film was made and revealed through a special ‘invisible’ screen in the shop window, which the public had to seek out. Gaynor Seville, public arts coordinator with Mayo County Council, wanted to do something that really engaged the artists with the public, but also included a professional development element. Marie Farrell, director with the Linenhall Arts Centre says in terms of a collaborative experience, the project was a success. Community involvement was hugely important, as was the engagement of local businesses, according to Seville.